German broadcaster, NDR, builds radio studio around two AX32 units and five MOM monitor controllers, connecting to Sequoia and an Avid S6 console. Norddeutscher Rundfunk – or NDR – is a regional broadcaster, covering the northern part of Germany, and a member of ARD, which is the national consortium of broadcasters. NDR is based in Hannover and actually turned out to be something of a pioneer within the consortium when it came to designing a new studio, as part of a recent renovation. Studio 3 is used for a variety of productions, including radio plays, readings and audio books – the common denominator being that voice recordings are often the key element. But in many cases, the voices need various sounds and ambiences to stress the points and atmospheres, which means that while the actual recording may be fairly straightforward, quite circumstantial post production sessions are required. Based on previous experience at NDR, it was paramount to find a solution that would be controller-based. Tactile control is hard to beat in a facility like this, and from a conceptual standpoint there are basically two different paths to consider. The old-fashioned one is a traditional mixing console and connect to Sequoia – the standard DAW throughout the ARD network – via audio and timecode. The alternative option would be to ‘Mix in the Box’, keeping everything within the DAW and then have hands-on control surfaces connected to the computers. It was decided to go for the second option, as it offered a range of benefits in the production workflow such as being able to recall entire sessions or premade templates for various types of productions quickly and easily. The main control surface that NDR decided on was an Avid S6 console that relies on the Eucon control protocol, which means that – even though you may naturally associate Avid with Pro Tools – it actually works with any DAW that supports Eucon control, including Sequoia, Nuendo, Cubase, Logic Pro and more. However, since the S6 is a control surface only, no audio is ever passed through it, which means that a dedicated audio interface with extensive routing capability is needed. And that is exactly where our AX32 units come into play at NDR, as they are set up to handle the entire backbone of the audio and control structure in Studio 3. In total, 24 analog channels with microphone preamps and AD conversion are installed in the AX32 units and the channels are divided between two rooms. Studio 3 is a larger room suited for tracking of one or several actors, as well as Foley recording. The secondary room, Studio 3a, is designed for recording of single voices such as recording of e-books. Each of the AX32 units connects to two individual Sequoia systems via MADI, but they are also cross-connected via MADI for redundancy purposes. In fact, redundancy is a major focal point at NDR. This is not based on specific bad experiences in the past, but simply because live radio, or productions with extremely tight deadlines demand a reliable system from end to end. Therefore, the two Sequoia systems run in parallel for redundancy, and likewise the microphone channels from Studio 3 go to one of the AX32 units, while the microphones from Studio 3a go to the second AX32. Even if one of the units should need service, NDR will always be able to operate and for a broadcaster the only things that is more important than an efficient production workflow is to avoid downtime. Overall, six stereo signals are being routed to the sound engineer, and assistant sound engineer, a producer, an editor and two voice talents in separate recording booths. The first four signals mentioned are going through the DA converters of the AX32 units to studio monitors and headphones in the control rooms, but the audio streams going to the talents are kept within the digital domain, connecting via Audinate’s Dante IP Audio protocol to KLANG:quelle headphone amps. As the icing on the cake in terms of tactile control, NDR also added five MOM (Monitor Operating Module) monitor controllers. But why would you need more than one unit? Well, any single MOM unit is capable of being tailored to take on a particular user role in the DADman control software, and in this specific scenario, there are four different roles in the studio: the sound engineer, the assistant sound engineer, the producer and the editor, each of which requires their own personal monitor feed. So, what would a typical radio production at NDR’s Studio 3 be like? In fact, a radio play is quite similar to making a film in the sense that at the end of the day, a story is being told. Of course, the visual side of things is non-present, which means that the sound effects and ambiences that support the actors’ voices are extremely important elements. Not only in to underline what is happening in the storyline, but also to create and support the directional and spatial context. 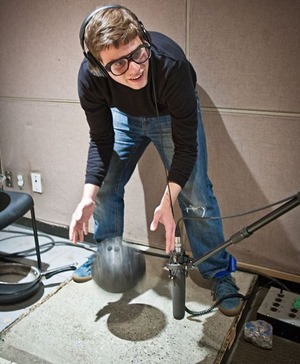 Therefore, a lot of Foley work is required and in general the post production phase is far more complex than the actual recording of the human voices. 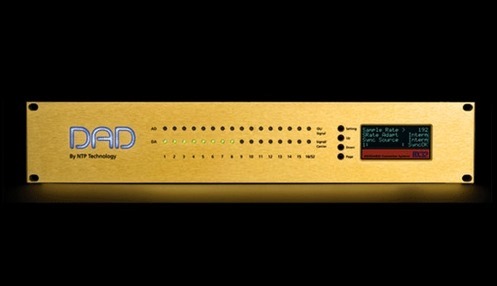 Combining the hands-on control that is offered by the MOM units and the Avid S6 console with the flexible audio-routing setup of the AX32 units and the DADman software, the sound engineers at NDR are capable of calling up a projects almost instantly, utilizing Eucon, Sequoia and DADman in an integrated system, basically optimizing their workflow immensely compared to their previous ‘Mixing outside the Box’ solution. As mentioned, NDR is a part of the overall German national broadcaster ARD, and throughout the network, Sequoia is the standard DAW solution. But many of the entities within the consortium have come up with individual studio designs around this basic platform. However, this new and innovative solution has created quite a bit of attention within the ARD boundaries, and while each station may have slightly different wants and needs, NDR has received a lot of positive feedback for their Studio 3 setup, and many of their broadcast colleagues in other German regions express great interest in visiting NDR’s new radio studio to experience it first-hand and potentially get inspired to implement similar solutions at their own facilities. Obviously, there is no one solution that fits everyone in this world, but we’re proud and pleased that AX32 and MOM play such a key part at the NDR Studio 3 setup and hope that others may indeed become inspired from their solution and recognizes the vast benefits that come from having a super-flexible system that simply provides more efficient workflows, ultimately resulting in saving value production time.